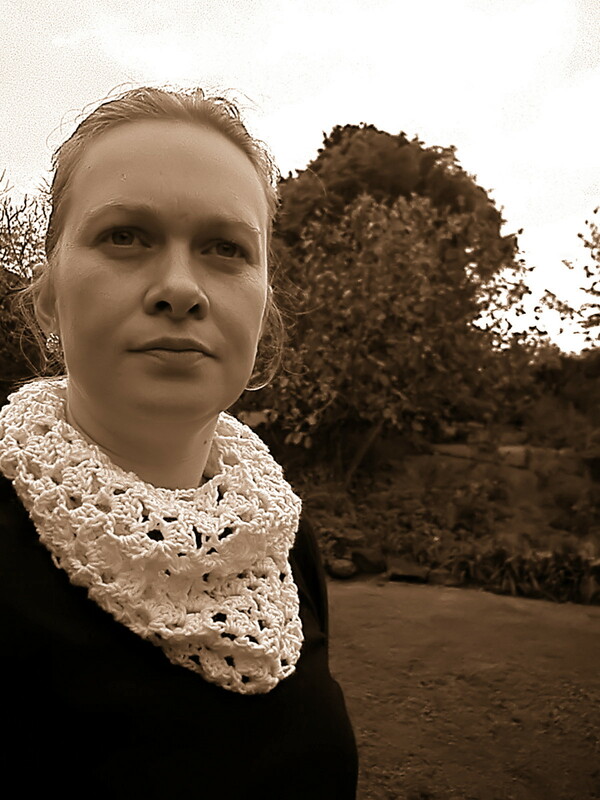 It's the first slightly chillier weekend here, so I was really pleased to have finished my Cowl (based on crochet-lacy-scarf by Lion Brand Yarn) to wear while watching my eldest play Netball this morning. I wanted a looser Cowl style but a more vintage look to it so this scarf pattern was a pretty good fit and I just continued until it was the right length then joined at the back. Very happy with it, its so snuggly and soft in Harmony 100% Merino wool. Anyway off to make some soup now. That's one real good part of colder weather. PS: I have seen some pics my hubby took of you guys at the fashion evening last week ;) woohoo! What a little nice dress!! I really like ti, very nice! Have a nice day!